This entry was posted in Uncategorized and tagged Zion's Christian Soldiers on March 14, 2019 by Stephen Sizer. “Does God have a purpose for the nation and land of Israel today? This is a major point of difference between Dispensational and Covenantal readings of the Bible. 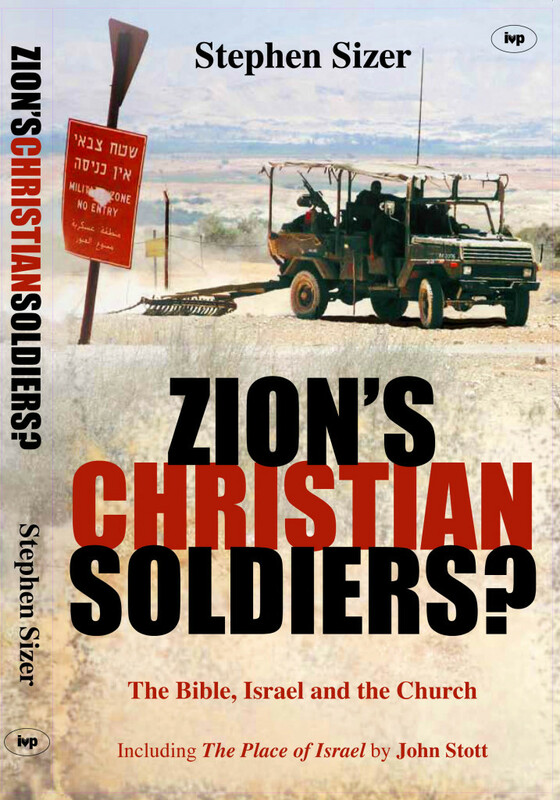 In Zion’s Christian Soldiers Sizer exposes the foundations of Dispensational views, and the error of their strong support for certain views about Israel today. Given the widespread influence of this school of thought, there is the frightening propsect that the US might adopt foreign policy under (Dispensational) Christian influence. The key issue in understanding the relationship between Israel and the Church is to read the Bible literally and contextually. Ultra-literalists ignore the historical settingof prophetic and apocalyptic passages and then read contemporary events back into prophetic passages. As a consequence Old Testament texts are made to speak about present and future events almost as if the New Testament had never been written. But by reading the Bible as a whole and in context it becomes clear that there is not, in fact, two chosen people (Israel and the church) but one (Israel and now the church). A second consequence is that those who believe the promises made to Abraham still apply to his phisical descendents today oppose the dismantling of Jewish settlements in Gaza and the Occupied Territory; but the Bible makes clear that the Land is God’s and that residence in it was always conditional on faithful obedience. Jesus redefined the kingdom as a spiritual and heavenly reality, which is why the New Testament teaches that the land has served its purpose: ‘it was and remains, irrelevant to God’s on going redemptive purposes for the world’ (p. 98). In a similar way, Christians are to look to Jerusalem as a vision of a city inclusive of all nations-not as a place which must remain undivided at all (political) costs. Two of the stranger beliefs promoted by Dispensationalist thinking are the rebuilding of the Temple, and the Rapture. Attempts by Zionists (Jewish and Christian) to rebuild the Temple are taken seriously by the political authorities, and may well ignite an apocalyptic war with Muslims worldwide. But when Jesus died to atone for our sins, the temple in Jerusalem became redundant: that is why Sizer must say that ‘To advocate rebuilding the Temple is heresy’ (p. 130). The Rapture is ‘the novel idea that Jesus will return twice’ (p. 131), made popular by the hugely successful “Left Behind” books. It accompanies an outlook which is inherently pessimistic about the Middle East and looks for an “Armageddon” confrontation. But biblical references to Armageddon do not necessarily lock us into believing there has to be an apocalyptic war between Islam and Christianity; surely as peacemakers, Chrisitans can have nothing to do with stoking such a conflagration. This entry was posted in Christian Zionism and tagged Ed Moll, Zion's Christian Soldiers on June 21, 2009 by Stephen Sizer. This entry was posted in Christian Zionism, Zion's Christian Soldiers and tagged Baptist Times, Zion's Christian Soldiers on February 5, 2009 by Stephen Sizer. 14 May 2008 marked the 60th anniversary of the birth of the modern State of Israel. The fundamental problem in the long-running Israel/Palestine dispute is that Jews in the newly formed Israel stole land from the indigenous Arabs, taking it by force. Insofar as Britain and the international community provided the authority, they did so in the face of understandable opposition from those adversely affected. The horrendous fact that Christian evangelicals have to face now is that this theft, with all its subsequent misery for hundreds of thousands of people, was done in their name. Scofi eld Dispensationalism was strong in the 1940s and still lives on, represented in a number of popular Christian books that promote Christian Zionism. Our belief in future blessing for the Jewish people and our commitment to their evangelisation, neither of which are challenged in the books here reviewed, has for many become mired in a confused eschatology rooted in bad exegesis, resulting in an obsession with land which the New Testament cannot sustain. This is not to deny the tragedy of the world’s treatment of Jews over centuries. Unfortunately millions of conservative evangelicals have supported a solution that has involved replacing one tragedy with another. Millions support Christian Zionism. The writers of Light Force try to provide a Christian answer to the political conflict. The first edition (I read the American version) was an absorbing read and I look forward to seeing the second. In Light Force, Brother Andrew (of God’s Smuggler fame) tells of his personal journey of understanding, starting at the usual stereotyped dispensational beliefs about Israel, through to meeting Christians of all hues, which led to some understanding of the pressures Christians in Israel live with day to day. Most of the focus on Christians is on Arabs in Lebanon, Bethlehem and Gaza. 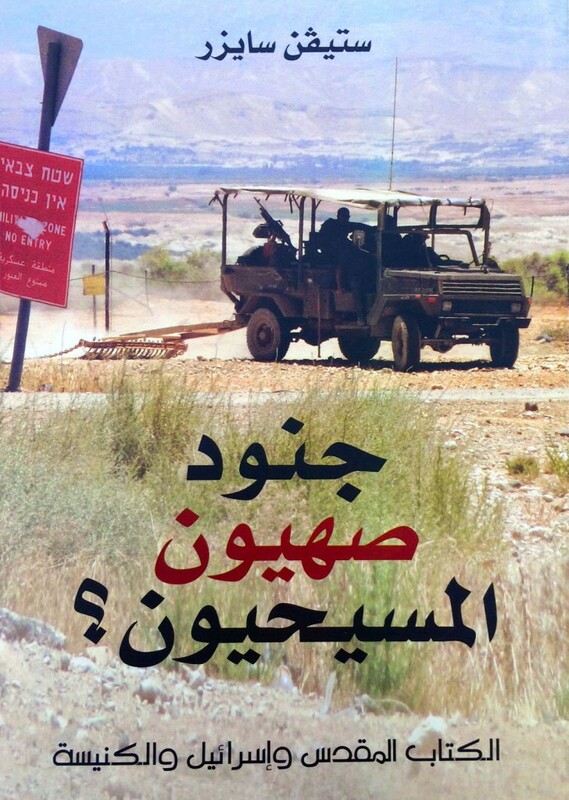 The book gives a good introduction to the complex situation in Israel. It focuses mainly on issues of reconciliation between Jew and Arab, arguing that this should be possible and is most likely among Christians who are already one in Christ Jesus. The book is an emotional read, challenging Christian Zionism at the level of personal experience. Even Moslems who hate Jews become real people as we see them being confronted by Brother Andrew and asked to forgive and make peace. I just wish Andrew’s role had been less hyped up. 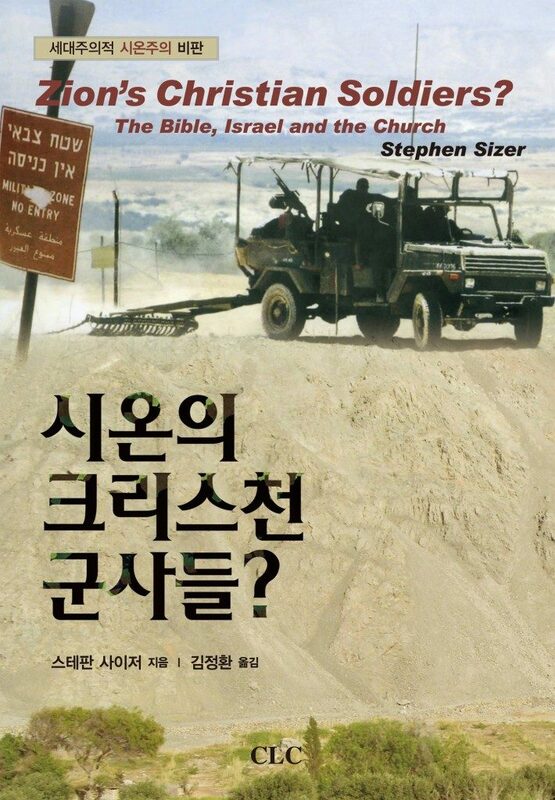 Stephen Sizer’s Zion’s Christian Soldiers? is quite different in style to Andrew’s book, requiring more application from the reader, but it also challenges Christian Zionism. Sizer compares covenantalism and dispensationalism. He explores the relationship between the old and new covenants and shows the danger of taking contemporary events to be the realisation of biblical prophecy. He examines the question of who the Israel of God is, and emphasises the centrality of Christ in the Bible message and the oneness of His people. The land is considered both in its importance in the Old Testament and the relative silence about it in the New, where God’s kingdom on earth is international and His people look for a better inheritance. This entry was posted in Christian Zionism, Zion's Christian Soldiers, Zionism and tagged Free Church of Scotland, Iain Gill, The Monthly Record, Zion's Christian Soldiers on December 17, 2008 by Stephen Sizer. “Reading this book was a huge shock to me, and not a pleasant one. I had no idea that the biblical hermeneutics on the word ‘Israel’ had such extraordinary implications. So how we interpret the Scripture in terms of that one word ‘Israel’ really does seem, in some circles — to quote Stephen Sizer — to ‘justify a pre-emptive global war against the “axis of evil”‘ (page 19). You can listen to or read six presentations based on the chapters of the book as well as print outlines useful for personal and group Bible study. 2. Israel and the Church: Who are God’s chosen people? 3. The Promised Land: From the Nile to the Euphrates? 4. Battle for Jerusalem: The Eternal Capital of the Jews? 5. The Coming Last Day’s Temple: Ready to Rebuild? 6. Overture to Armageddon: Want to be left behind? This entry was posted in Anglicanism, Dispensationalism, Theology, Zion's Christian Soldiers and tagged Rico Tice, Zion's Christian Soldiers on November 30, 2008 by Stephen Sizer. What this conviction has meant, especially ominously since 9/11 2001 when the ensuing War (or Crusade) on Terror added copious grist to the Christian Zionist mill, is that the entire Muslim world is ‘cursed’, while Israel and her western allies are blessed. For a Christian Zionist there can never be an independent Palestinian state alongside Israel and nor must Israel ever be forced to abandon her illegal settlements in the West Bank, let alone her claim to Jerusalem as her indivisible capital. Christian Zionists expect no peace in the Middle East until Jesus Second Coming, so all efforts to obtain a peace there are pre-doomed to failure. That some important aspects of thus Christian Zionist worldview have neatly dovetailed with that of the Neo-conservatives in charge of US foreign policy in the Middle East since 2000 is well known, as is the fact that the evangelical Christian vote was vital to Bush’s victory in 2004. This entry was posted in Christian Zionism, Middle East, Theology, Zion's Christian Soldiers, Zionism and tagged Christianity, Israel, Victoria Clark, Zion's Christian Soldiers, Zionism on October 19, 2008 by Stephen Sizer.